We are always interested in hearing from talented people. If you do not see a vacancy that interests you at the moment, you may still prefer to submit an application for consideration now and/or for future roles. You can send your application to us, with a suitable covering letter/email and a detailed CV to Tim Cameron at tgcameron@tmp.uk.net or to our address. We aim to contact individuals who have applied speculatively when a suitable role arises and you should please apply again at that time. We are particularly interested in hearing from partner or director level candidates who have a clear plan for growing their business which would deepen or complement our sector strengths. 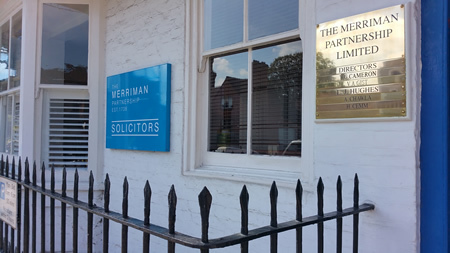 If you are a partner or director and wish to discuss in confidence how you might develop your practice with The Merriman Partnership please contact Tim Cameron as above on 01672 515846 or by email as above. Our Commercial Property department seeks a secretary to join the team on a part-time basis. We look forward to applications from secretarial staff with good experience in commercial property work. You will be an enthusiastic team player determined to provide the best possible service for our clients. You should be confident in Microsoft Word, Microsoft Excel and Outlook and be prepared to learn our SOS systems package, work with modest supervision; you should have an excellent balance of skills in communication, file handling, professionalism and understand the duty of confidentiality as well as possessing usual typing and administrative skills to include a good understanding of completion of standard commercial property, Land Registry and SDLT forms. Please send a covering letter/email and a detailed CV to Tim Cameron at tim.cameron@tmp.uk.net or The Merriman Partnership, 107 High Street, Marlborough, Wiltshire, SN8 1LN.